يشكل فندق Century Hotel Saipan بموقعه الممتاز في قلب جارابان نقطة انطلاق ممتازة لاستكشاف سايبان. إن موقعه الجيد الذي يبعد 2.9 km فقط عن مركز المدينة يساعد النزلاء على الاستمتاع بمعالم المدينة ونشاطاتها. 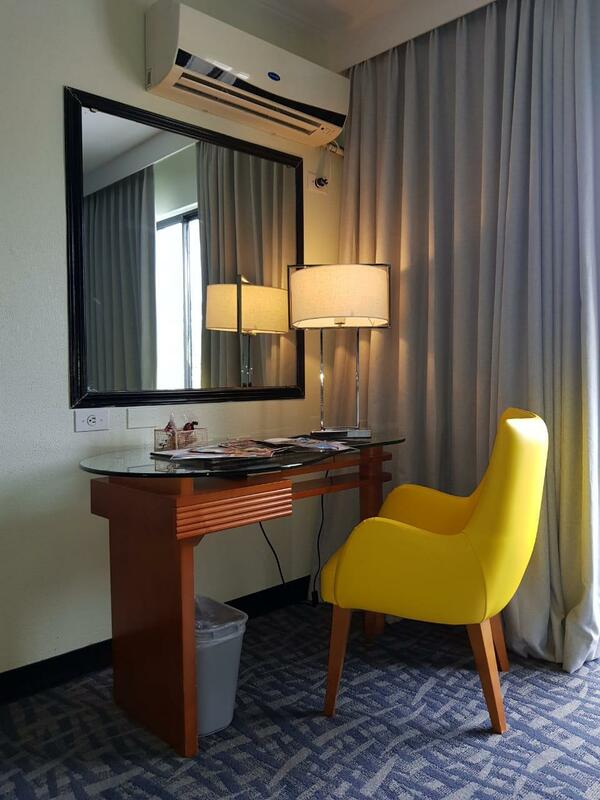 كما يمكن الوصول بسهولة إلى I Love Saipan - Star Sands Plaza, DSF Galleria Saipan, Paseo De Marianas Street. إن الخدمات التي يقدمها Century Hotel Saipan تضمن للنزلاء إقامة مريحة. يقدم الفندق واي فاي مجاني في جميع الغرف, واي فاي في المناطق العامة, صف السيارات, خدمة الغرف, التوصيل من وإلى المطار لضمان الراحة القصوى لضيوفه. في الفندق غرف نوم يتجاوز عددها 33، كلها مجهزة بعناية وجمال وبعضها مزود بـ اتصال لاسلكي بشبكة الإنترنت (مجاني), مكيف هواء, خدمة الإيقاظ, مكتب, شرفة/ تراس. كما أن مجموعة الخدمات الواسعة الموجودة في الفندق لضمان راحتك تترك لك الكثير من الخيارات لقضاء وقتك أثناء فترة إقامتك. إن كنت تتطلع إلى إقامة مريحة وهادئة في سايبان، فستجد في Century Hotel Saipan بيتك الثاني. يستطيع النزلاء استخدام المرافق الأرضية في العقار الشقيق دون رسم إضافي. يوفر العقار خدمة النقل بالحافلة من وإلى كلا العقارين. تشتمل المرافق على: صالة رياضية داخلية، حمام سباحة ومكان جانب الشاطئ. What I like about this hotel is that the staff are kind and helpful. However, this hotel needs some upgrade and it doesn't have an elevator so if you're given a hotel room on the 3rd floor, be ready to carry your heavy luggage. We're lucky our room is just on the 2nd floor. This hotel also doesn't have a pool/gym but you can use the facilities (swimming pool and gym) of it's sister hotel, Fiesta, so my 9 y/o daughter really had a great time. Also, there's a restaurant in the first floor that serves good food and it's open 24 hours so it's very convenient. Friendly! Nice restaurant at first floor. Can use pool at Fiesta! Hope to visit again! Christmas is very expensive in Saipan, so saying good value for money wouldn't be the best description. The hotel is really worn out but it fits with the Saipan environment. You either have the very expensive or the very budget, and nothing in between. Staff is very friendly and accomodating. Shirley's coffee which is within the hotel is a 24h coffee place that seems to be the meeting point for the locals. 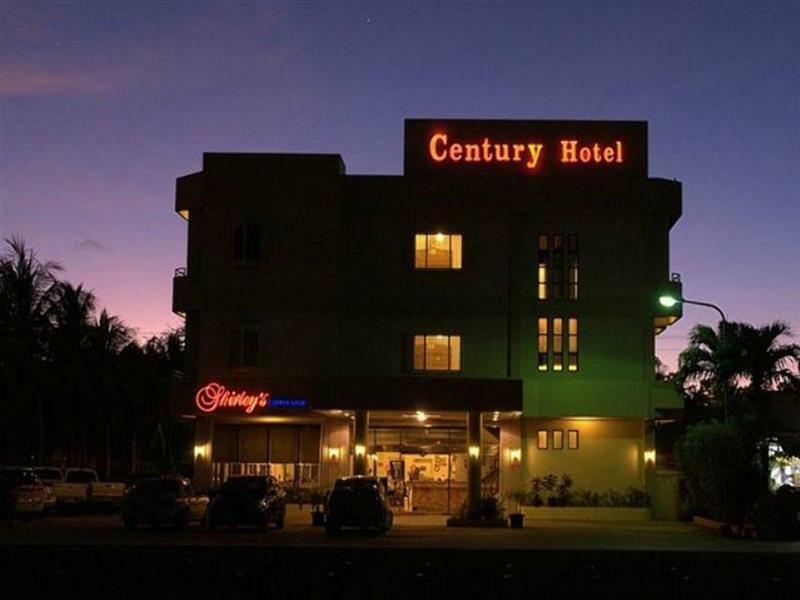 Century hotel has a partnership with Fiesta so you can use the swimming pool facilities there, however it is at some good walking distance from the hotel. I booked a twin room for 7 nights, and I quite enjoyed the staying. The room was spacious. The WIFI worked pretty well. The staffs were friendly and helpful. I could easily walk a few minutes to various supermarkets and restaurants. Century Hotel has positive and negative aspects. Positives: - Friendly staff, Carlos was so personable, helpful and welcoming! - Convenient location of restaurant on the first floor with decent lunch and dinner items - Good location with an easy 10-15 minute walk to the larger sister hotel on the beach - Convenient airport transfer to and from the hotel Not so impressive: -The bed is on wheels so it easily rolls out of place, and the quality of the bed was very hard. (A hard bed could be a plus for some but not for me and my husband.) -As it is an older building, our room made a lot of random clinking noises throughout the night. Unplugging the small refrigerator helped to minimize some of the noises. We enjoyed our stay at Century Hotel, but the quality of sleep we had was not the best. If you like hard beds and noises don't bother you when you try to sleep, your experience at Century should be great. I was glad to stay in this hotel for my family tour. Staffs were very very friendly and kind. 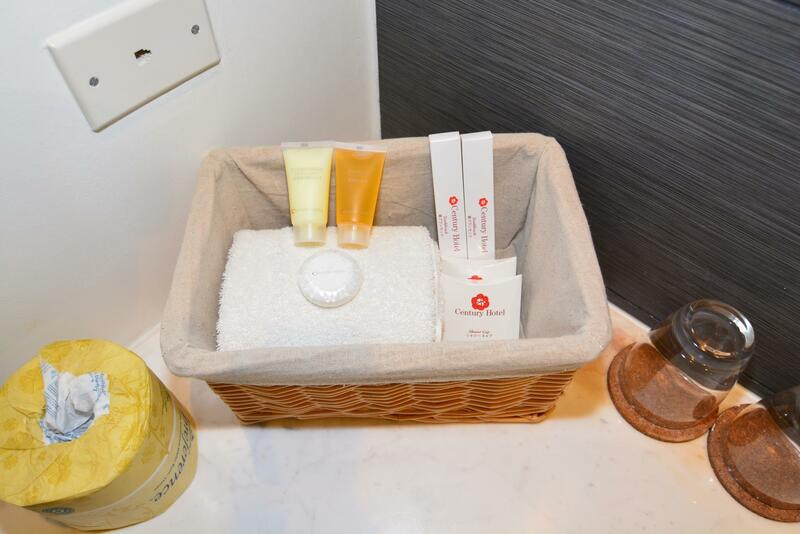 And gave overall satisfaction during our stay. So I have a plan to go this. Don't be disappointed that there is no water pool here. You can use Fiesta resort. Except that clean atmosphere and good wifi make you are satisfied. Mostly workers here are very kind and nice. I could use shuttle service much cheaper than normal taxi. Nice city hotel, kind of motel like, good alternative away from the Beach resorts, less cost, walking distance to the American Memorial Park, most of the key restaurants, Hard Rock, a couple of the larger beach resorts on the island, easy access via car to other areas on the island, free shuttle to a nearby resort beach...although could also just walk, free parking, really nice staff. Rooms are nice with all of the expected appointments and clean. If you want to stay close-in, their is Shirley's, one of the best diner type establishments in the Marianas right in the lobby, there is also a bar out back, although we didn't need to try it. It was good location is lil bit far. But Saipan is small island so you can go easy from Hotel And 1floor restaurant was not bad. Worker is so nice. Smile as always. Even others going here for eating. this hotel was generally clean but there was sand on the bathroom floor and the water was salty so I didn't feel clean even after the shower. some staff was nice but some staff was not kind at all. she didn't even look at me explaining something. and the most serious problem was that there was some kind of renovation going on all the day until 6pm so I couldn't take a nap. the price was relatively cheap but I'd rather sleep at othe hotels paying more. Short walk to DFS, coffee shop/restaurant on ground floor, later checkout possible. 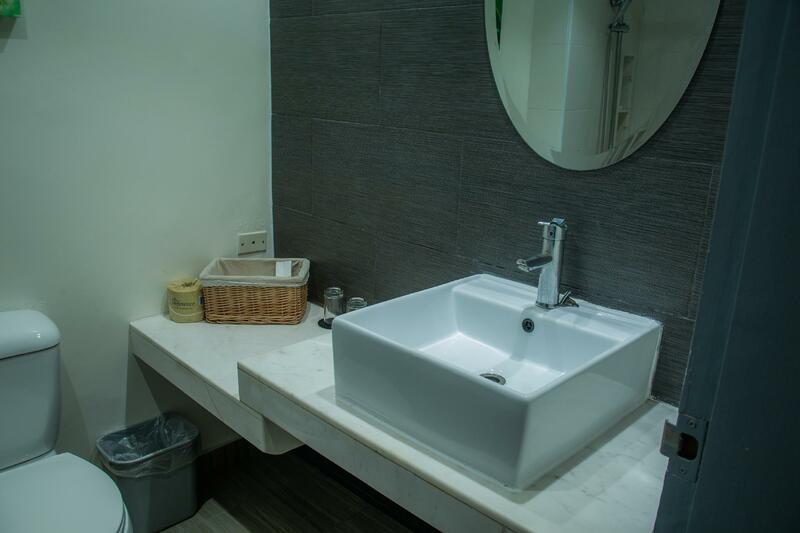 the hotel room was clean, price is reasonable, close to Garapan and the staff were very helpful. Cheap, clean, restaurant at lobby. The bed is very bad especially the pillows !